This is the season’s MUST HAVE bag. We’ve all seen the exact same style bag on the shoulder’s of Hollywood’s elite. 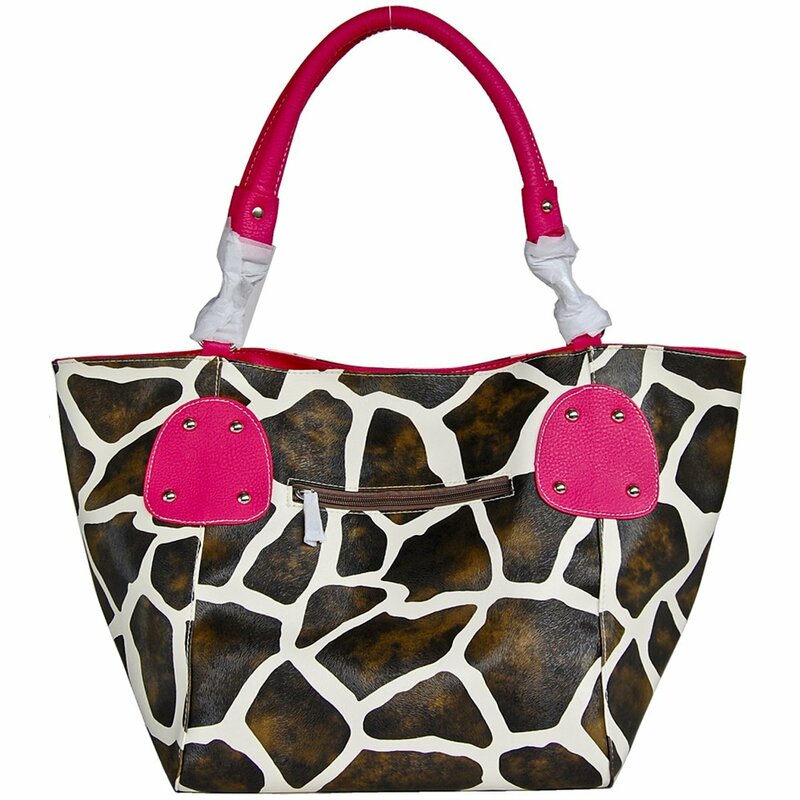 Convertible bag in Giraffe Print can be worn as a bucket bag or as a tote. Simply snap the interior buttons together on the sides to create versatile looks! This high-quality Giraffe print bag is super trendy and perfect for any outfit! This extra large bag features a glamorous and intricate Giraffe pattern of black and brown on a white toned base. Luxurious composition of a faux leather design contrasts with luxurious red trim. This wonderfully textured bag is the hottest this season! Classic colors go with any outfit! Brand new w/ tags! Bag measures 19″ L x 10″ H with a handle drop length of 9″. Fully lined bag features zipper and snap closure with 1 large zippered pocket, cell phone pocket and 1 small open pocket.